Today is the first day of fall! As the leaves start to fall and the nights get chillier, now is the perfect time to consider your wardrobe for the upcoming season. One thing many of us agree on is fall is the most stylish season because it's not too hot or too cold and you can layer with those dope fall accessories like boots, scarves, and hats! 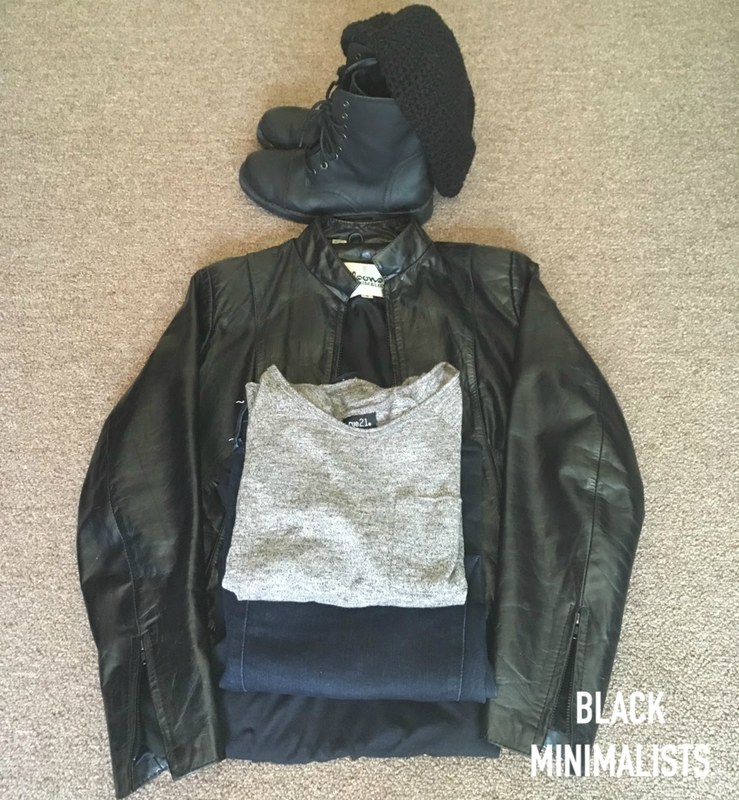 This month the Black Minimalists team is chatting about how we transition our wardrobes to plan for the fall season. Each team member shares their personal plan and tips for updating their clothing between seasons while still maintaining a minimalist wardrobe. This fall I am purging most of my wardrobe. I live in a place where it is warm most of the year. I am hoping the fall creates a natural time to let things go. I want a simple 33 piece wardrobe. I have a friend who is helping me purge at the fall equinox. I'm excited to do so with the energy of transitions. I wear the same basic wardrobe year round, adding or subtracting layers depending on the season and temperature. For fall, I’ll be adding my combat boots, long sleeve shirts, cardigans, and a light jacket into the mix. I’ll also be wearing my beanies to protect my locs as they form. I plan to do one more light purge before packing for my move to Mexico in October. The weather there is mild so I won’t need to make any major wardrobe changes. One item I need for the fall and beyond, is a pair of comfy flats that can be worn casually or dressy. I bought a pair of ballet-style flats last fall and have worn them a few times, but they are so uncomfortable I can no longer torture myself. So I plan on donating them and am on the hunt for a new pair. Before I became a minimalist, once fall hit, I had to either go shopping for new clothes or grab my warmer clothes out of storage and put my summer clothes into storage because I had no room. Since I did my great purge about a year and a half ago, all my clothes fit in one space so I don’t need to do anything! It’s such a great feeling. All I did was take my coats out and make sure they still fit and they do, so I am good to go. As for fall style, I prefer to wear skinny jeans with an easy but comfy shirt that I can nurse in or leggings and a dress that tuck into boots. I love ankle boots because you can dress them up and down, but this year I am looking for a good sturdy pair of boots that will last me for years to come. I’ve narrowed it down to this Teva boot (link below), but I am open to suggestions. Fall is my favorite season of the year. I love everything about fall. The crisp air, pumpkin treats, the colors of the leaves and of course, the fashion. Especially, cozying up in a large chunky sweater. Right now, I have a black knitted sweater from the Gap that I pretty much wear with everything. I also like to stick to warm neutral tones during this season. Most of what I have in my wardrobe is either some shade of brown, mauve or gray. Generally, I wear a lot of dark bottoms during this season too like navy, black, or dark gray. For a little pop of color I rock a bold lippie. My current faves are Jam and Licorice by Bite. I also love to accessorize my outfits with unique jewelry. Purge in between seasons if necessary. Minimize your wardrobe to where it can fit into one closet or create a year-round wardrobe that can save you time, space, and money as the seasons change. Accessories make a huge difference when it comes to your style. Jewelry, makeup, shoes, and other accessories keep your minimalist wardrobe updated as you transition through the seasons. Happy Fall from the BM Team!